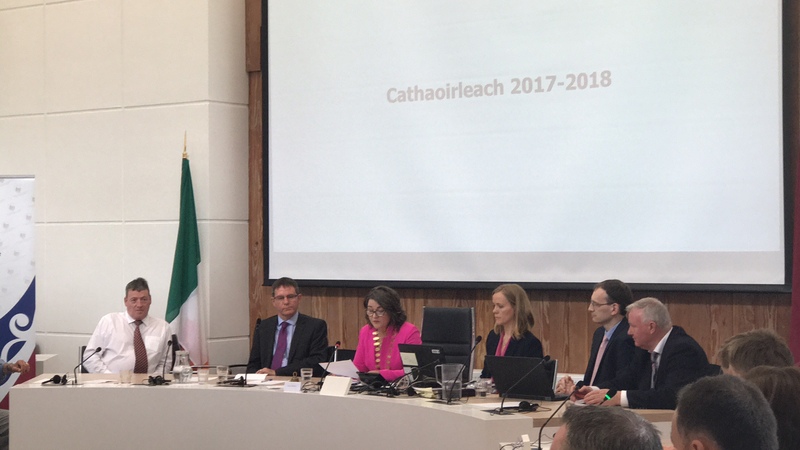 Clifden & District Community Council and Connemara Chamber of Commerce wishes to mark local woman Eileen Mannion’s election to Cathaoirleach of County Galway. To celebrate and mark this prestigious post, Clifden and District Community Council together with Connemara Chamber of Commerce are holding a celebratory gathering in recognition of this year of Councillor Mannion’s term of office. Councillor Mannion is the third woman to hold the significant role, behind Carraroe native Connie Ni Fhatherta in 2000 and Headford native Mary Hoade in 2014. You are cordially invited to come along to wish our Cathaoirleach well in her office and duties. Please join us at Clifden Town Hall on Wednesday November 1st @ 6:30 pm for some entertainment and refreshments along with a presentation to mark this important occasion for Clifden, Connemara and County Galway. We would be grateful if you can let us know if you can attend.